East Coast Limo's Party Bus fits up to 18 passengers. The Party Bus is very spacious and is large enough that there is standing room. With everyone together in the Party Bus, this makes “getting there” as much fun as the event itself! No need to worry about drinking and driving when you decide to book East Coast Limo's Party Bus! Everyone gets to join in on the party with the assurance that they will make it home safe and sound. East Coast Limo chauffeurs know the city well. Simply sit back and let your chauffeur show you the town! There is no need to call a taxi when you and all your guests are travelling on the Party Bus! 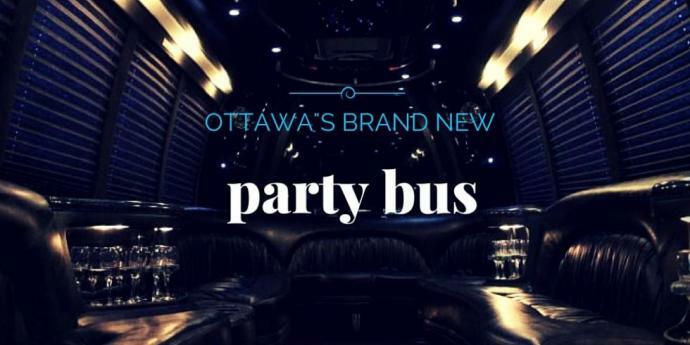 The Party Bus will provide ample entertainment as well as transportation, and when you divide the rate between all of your guests, the cost is quite affordable. There is no better way to travel than on East Coast Limo's Party Bus. The Party Bus will pick you up at your front door and deliver you directly to your destination. At the end of the event, your driver will be waiting to whisk you safely back home. This means no need to worry about parking or driving in inclimate weather. The party is non-stop on a Party Bus! Consider booking East Coast Limo's Party Bus as your party venue. The Party Bus can be used for bachelor parties, bachelorette parties or birthdays. You can travel in style or simply party all night on the bus as you enjoy a tour of the city. East Coast Limo's Party Bus offers a large television, a sound system you can plug your phone or mp3 player into, a light system and plenty of classy seating. Feel free to bring on your own alcoholic beverages and food onto the Party Bus. You can turn this occasion into whatever you'd like it to be! There are three bar areas in our Party Bus, each stocked with bottled water, champange glasses and ice. There are also two large ice wells so your beverages will stay ice cold all night long! Forget waiting in line to get into the hottest clubs. East Coast Limos is partnered with York Street Entertainment to offer VIP entrance to some of the most popular clubs downtown! Book the Party Bus for your next event, request a quote today! We had never used a limousine service prior to this occasion and were extremely pleased.